What a Spectacular Easter Morning at Slackwood! He is Risen! At Slackwood Church all are called to be servants of God inspired by the life of Jesus, and led by the Spirit to be people who love, comfort, and empower one another. We envision serving God by being an example to each other, our community, and the world. We worship at 10:30am each Sunday. 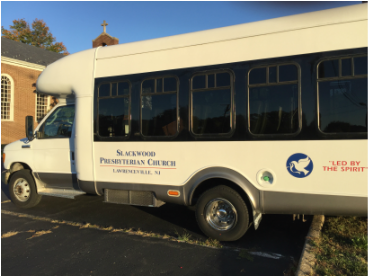 Check Out All That is Happening at Slackwood in this Video! Call 609-392-3258 before each Friday, leave your name & phone number and a church member will return your call.